LafargeHolcim’s Carboneras cement plant in southern Spain contributed €13.6 million to the local economy, according to a company press release, generating an average of 108 direct jobs and supporting an additional 70 indirect jobs. The plant’s economic impact also includes taxes and contracting services. The plant also said it would invest more than €0.9 million in the plant in 2017 on plant improvements, health and safety, and environmental performance. This investment will include the installation of a system for collecting and treating wastewater. Investments in 2016 included the installation of a new wastewater treatment plant and various projects to limit dust emissions, including a covered are for material storage, the optimisation of bulk handling infrastructure to reduce dust, and the adaption of clinker loading equipment with a system to reduce dust emission. The plant also continued it restoration work of its quarry, beginning work in 4Q16 to restore an area of 850 m2. This follows the restoration of three 900 m2 plots at the end of 2015. In addition to dust reduction and quarry restoration work, the plant also improved its fossil fuel substitution levels, achieving a 28% substitution rate with waste fuels – more than 8% higher than the previous year. Coupled with the use of biomass, fuel substitution prevented 12 000 t of CO2 emissions, according to the plant. Located in Spain’s Almeria province, the plant exports 50% of its production to countries such France, Portugal, Cameroon, Equatorial Guinea, Algeria and Togo. 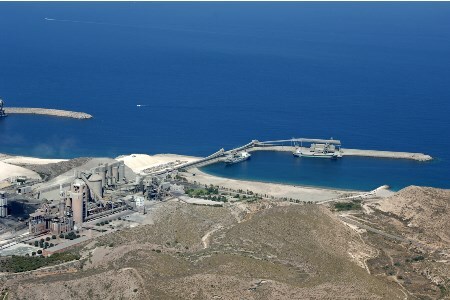 It is one of five cement plants that LafargeHolcim owns in Spain.